As we all know that Samsung Galaxy S4 will release in a few hours, the next amazing smartphone in the same series – Galaxy S5 is already in news. The smartphone has started receiving the rumors from all across the web. And here is what the Top 3 rumor sources have to say about the smartphone! We have all seen and experienced the 2D displays in our smartphone. They are good, no doubt, but 3D displays are a different experience for sure. So, the Korean company would love to introduce a three dimensional display for the new smartphone, which will add glitz to its looks, features and specifications. The smartphone will own a blazing camera of 16 Megapixel with LED Flash and many more attractive features like dual-shoot mode. This will entitle the smartphone to reach the top position in its run for the best phone in the market. As far as the front camera is concerned, there are further rumors that fans could get a 2 Megapixel astonishing shooter on the front. This will add to the charm of the smartphone, as you can just click your photograph yourself. So far, we have talked about the specs and features of Samsung Galaxy S5. The reports on many sites say that the smartphone will release the same year as its predecessor to give a competition to the Apple iPhone 6. Would it be a good move by Samsung? We would love to have your opinions in form of comments below. Meet the Author – The Author of this post is a young blogger from India and the owner of the site Galaxys5us.com. Visit the blog for more information about the beast smartphone! 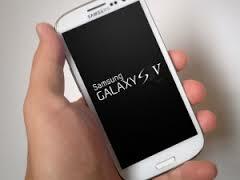 0 Respones to "Galaxy S5 – The Latest Baby of the Rumors Villa"